Stuttgart. On Monday and Tuesday next week (27-28 July) Porsche will prepare for the fourth round of the FIA World Championship (WEC). Following its victory at the Le Mans 24 Hours, the Porsche 919 Hybrid will be driven for the first time on the Nürburgring. In action on the renowned German racetrack will be one of the innovative prototypes which, by combining a two-litre four-cylinder turbocharged engine with brake and exhaust heat recovery systems recuperations, produces a combined power of about 1000bhp. 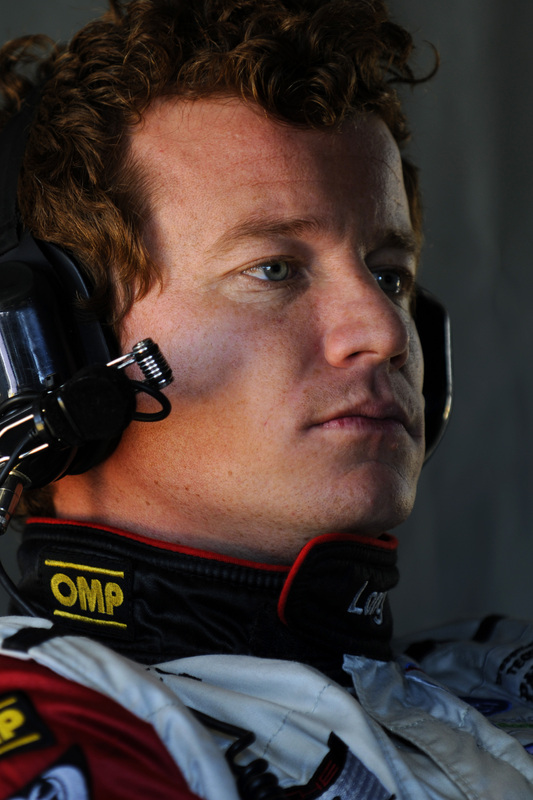 On Monday Timo Bernhard (34, Germany) and Romain Dumas (37, France) will share the testing duties at the wheel of the Le Mans prototype, for Tuesday Dumas and Marc Lieb (35, Germany) are scheduled to be in the car. The main focus of the test sessions is on preparations for the six-hour race at the Nürburgring on 30 August, as well as generally for the second half of the season with races in Austin (USA), Fuji (Japan), Shanghai (China) and Sakhir (Bahrain). 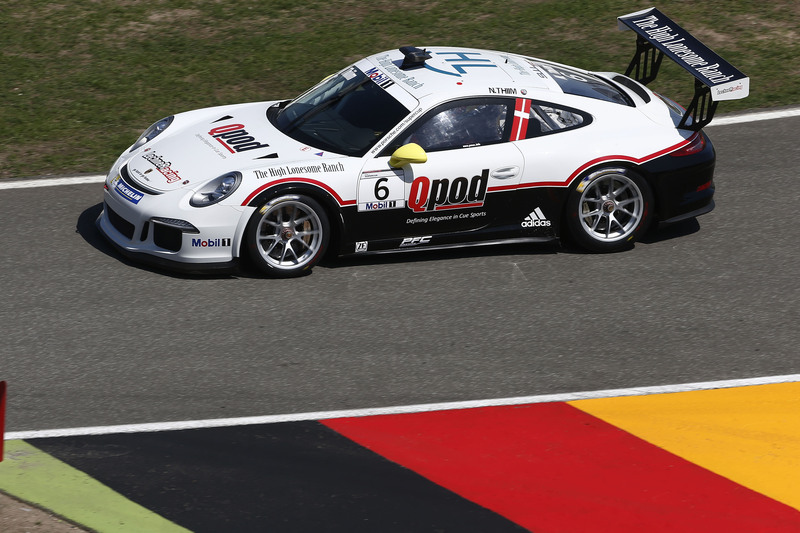 The Nürburgring-based Porsche Team Manthey will also use the testing opportunity at the “ring”. The team will test the GTE-Pro-class 911 RSR. Furthermore the Dempsey Proton Racing team, with race driver and actor Patrick Dempsey (49, USA) at the wheel, will also be testing the RSR. In Le Mans Dempsey, alongside Porsche factory driver Patrick Long (33, USA) and Marco Seefried (39, Germany), finished the race in second place in the GTE-AM class, which was the best result of his career so far. The test days at the Nürburgring, which will also be attended by many other WEC teams apart from Porsche, are of a lot of interest for fans as well as journalists. On both days spectators will be allowed free access to the T3 grandstand. On Tuesday members of the press are welcome in the paddock, but must apply in advance for accreditation. Patrick Dempsey, Timo Bernhard and Andreas Seidl, Director Race Operations LMP1 for Porsche, will take part in the WEC press conference on Tuesday, at 12:00 in the business lounge (segment 1) next to the grandstand. Stuttgart. Nicki Thiim (Walter Lechner Racing Team) has clinched the fastest time in the Porsche Mobil 1 Supercup qualifying session on the Hockenheimring Baden-Württemberg. 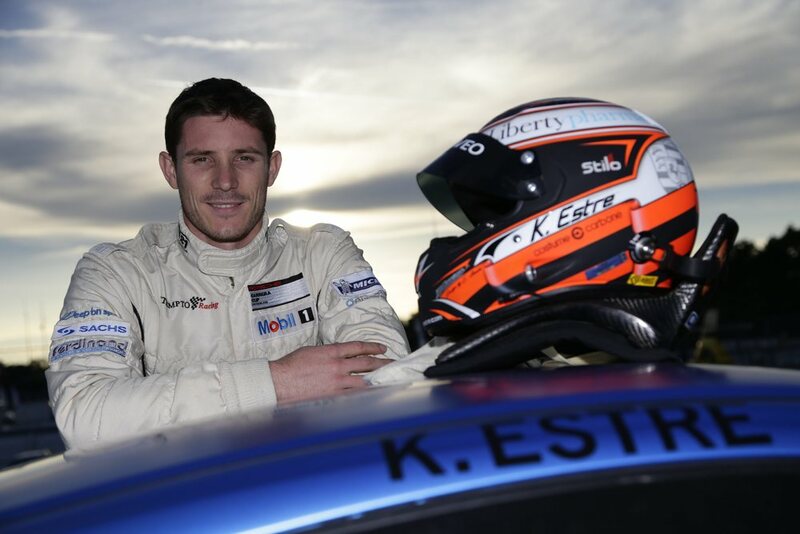 The Dane outpaced his rivals at the wheel of his 460 hp Porsche 911 GT3 Cup and relegated Kévin Estre (F/Mc Gregor powered by Attempto Racing) and Michael Ammermüller (D/Walter Lechner Racing Team) to the second and third grid positions. “It’s great to be back up the front. In this heat the race will be hard work, but I can hardly wait,” said a satisfied Thiim. VIP-driver Patrick Dempsey encountered tough opposition amongst the 27-strong field of seasoned Cup contenders. The long distance pilot and actor takes up the sprint from 26th place. 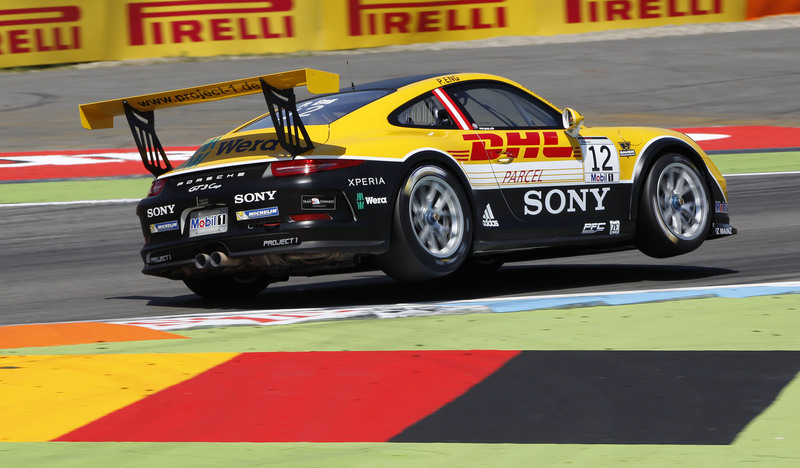 In sweltering summer temperatures fans were treated to a thrilling qualifying session on the storied German race track: the air temperature of 31 degrees Celsius and a track temperature of 51 degrees made this qualifying session the hottest of the season. The best grid spots for the race on Sunday were posted in the final five minutes of the 30-minute session. After topping the time charts for much of the time, the winner of the International Cup Scholarship Earl Bamber (NZ/Fach Auto Tech) was shunted by Thiim from his top spot five minutes before the end of the session with a time of 1:43.251 minutes, followed closely by his former teammate Kévin Estre in 1:43.493 minutes. The reigning Supercup title holder held on to his pole-setting time to the end. In the final seconds, Bavaria’s Michael Ammermüller made a last ditch attempt to knock him off the front grid spot and landed on a commendable third place. 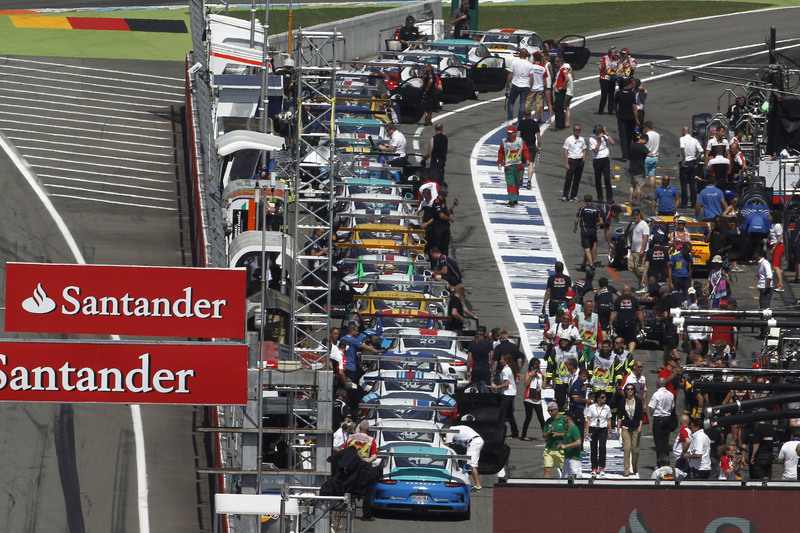 Lining up alongside Mueller on the third grid row is his junior colleague Klaus Bachler (A/Konrad Motorsport). “It was incredibly close at the top. I’m curious to see what the weather is going to do tomorrow – whether it stays dry or rains,” said Bachler. Kuba Giermaziak (PL/VERVA Lechner Racing Team), the current points’ leader and the winner of two rounds so far this season, takes up the race from seventh, with Pieter Schothorst (NL/Mc Gregor powered by Attempto Racing) on position eight. Porsche junior Connor de Phillippi (USA/FÖRCH Racing by Lukas Motorsport) sits in twelfth: “It’s not exactly the result I’d hoped for. The conditions were difficult with lots of yellow flags out during the qualifying.” Porsche junior Alex Riberas (E/Mc Gregor powered by Attempto Racing) was disappointed with his 16th position. “I found the qualifying very tough. At first I was sitting fifth, but then the yellow flag came out while I was on my second set of tyres before I’d finished my lap,” stated the 20-year-old Spaniard. In Sunday’s race, pole-sitter Nicki Thiim could become the fourth different winner from five races. Bamber won the season-opener in Barcelona, Giermaziak dominated in Monaco and Spielberg, and Clemens Schmid (A/Walter Lechner Racing Team) in Silverstone. A glance at the qualifying results also shows that no one as yet has emerged as a favourite. Philipp Eng (A/Team Project 1) clinched pole position in Barcelona and Spielberg, Giermaziak in Monaco, Schmid in Silverstone and now Thiim in Hockenheim. Sky Deutschland covers the Porsche Mobil 1 Supercup from 11.35 hours CEST and broadcasts the race, as does Eurosport, live from 11.45 hours. Stuttgart. It was a debut made to order: At its first ever outing at the 24 Hours of Le Mans last year, the Porsche 911 RSR brought home a double victory. At the 82nd edition of the world’s most famous long distance race, contested on the Circuit des 24 Heures on 14/15 June, Porsche Team Manthey will again field a pair of 911 RSR in the GTE-Pro class. Taking up the challenge alongside the factory squad, Porsche customer teams from Europe and America again contest the GTE-Am class, which Porsche also won last year. 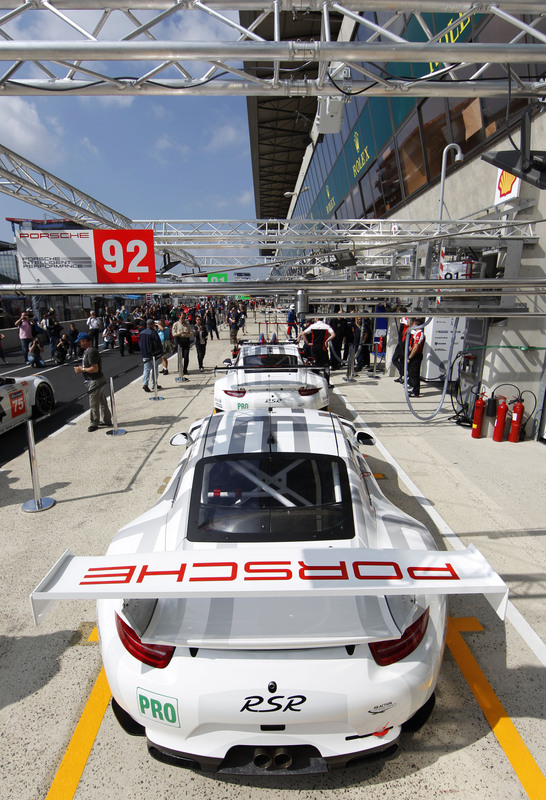 The classic event in provincial France, where Porsche is chronicled as the most successful manufacturer with 16 overall victories, is regarded as the highlight of the Sports Car World Endurance Championship (WEC). First contested in 1923, the 24 Hours of Le Mans is the toughest automobile race in the world and represents the greatest challenge motorsport has to offer. What makes this classic so unique is also the 13.65 kilometre “Circuit des 24 Heures”, one of the oldest and fastest race tracks in the world with 38 corners and the legendary five-kilometre long Mulsanne straight. Almost 75 percent of a lap is driven at full throttle. Double points are awarded for round three of the Sports Car World Endurance Championship WEC at Le Mans. Tackling the GTE-Pro class in the number 91 Porsche 911 RSR are Porsche factory pilots Joerg Bergmeister (Germany), Patrick Pilet (France) and Nick Tandy (Great Britain). Sharing the #92 cockpit are their works driver colleagues Marco Holzer (Germany), Frédéric Makowiecki (France) and last year’s winner Richard Lietz (Austria). Customer teams take on the GTE-Am class with a pair of 911 RSR: For the Dempsey Racing-Proton outfit, Patrick Dempsey (USA) and Joe Foster (USA) join forces with Porsche works driver Patrick Long (USA). Christian Ried (Germany), Porsche junior Klaus Bachler (Austria) and Khaled Al Qubaisi (Abu Dhabi) compete for Proton Competition. The customer squads IMSA Performance Matmut and Prospeed Competition each bring two Porsche 911 GT3 RSR in last year’s spec to the start. IMSA Performance Matmut has contracted an all-French driver line-up with Erik Maris, Jean Marc Merlin and Eric Hélary as well as Raymond Narac, Nicolas Armindo and David Hallyday. Taking on the challenge for Prospeed Competition are Cooper MacNeil (USA), Bret Curtis (USA) and Jeroen Bleekemolen (Netherlands) as well as Frenchmen Francois Perrodo and Emmanuel Collard. 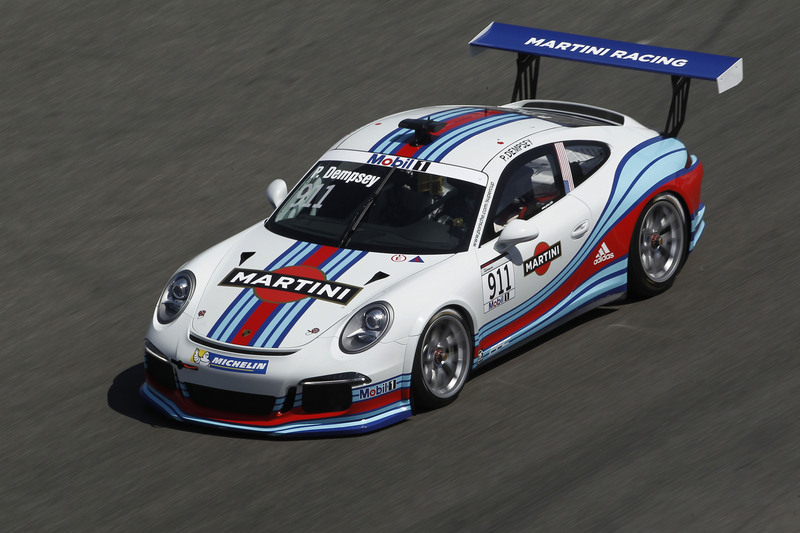 The Porsche 911 RSR which Porsche has campaigned in the Sports Car World Endurance Championship since 2013 is based on the seventh generation of the iconic 911 sports car. At its race debut last year the 470 hp winning racer from Weissach scored a brilliant double victory at the 24 Hours of Le Mans. 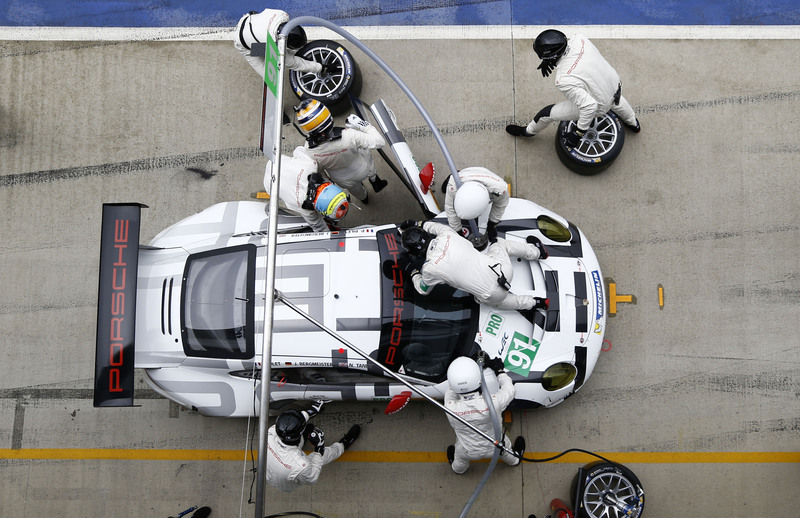 For 2014, the 911 RSR received improvements in many areas. In addition to winning the WEC season opener at Silverstone, this racer has also clinched victories at the long distance classics at Daytona and Sebring. Through the balance of performance ruling, the 911 RSR for Le Mans must now weigh 25 kilograms more than last year’s contender, with the restrictors reduced from 29.6 to 29.3 millimetres. Free practice on the Circuit des 24 Heures is held on Wednesday, 11 June, from 16.00 to 20.00 hrs, followed by the first qualifying session from 22.00 hrs to midnight. Two more qualifying sessions follow on Thursday, 12 June, from 19.00 to 21.00 hrs and from 22.00 hrs to midnight. The start flag for the 24 hour pursuit drops on Saturday, 14 June, at 15.00 hours. The 56-strong field is sent on its way by ex-Formula 1 World Champion Fernando Alonso. Eurosport International and Eurosport 2 alternately broadcast the complete race live. The last two hours of free practice as well as the three qualifying sessions and the warm-up are also televised live. Also aired during the week are various programmes highlighting the world’s most famous long distance race with news, interviews, portraits and background reports. Detailed TV information is available on http://www.eurosport.com. Stuttgart. After an absence of 16 years, Porsche will once again compete in the top category of what is certainly the world’s toughest car race, which starts at 3:00 pm on June 14, 2014. 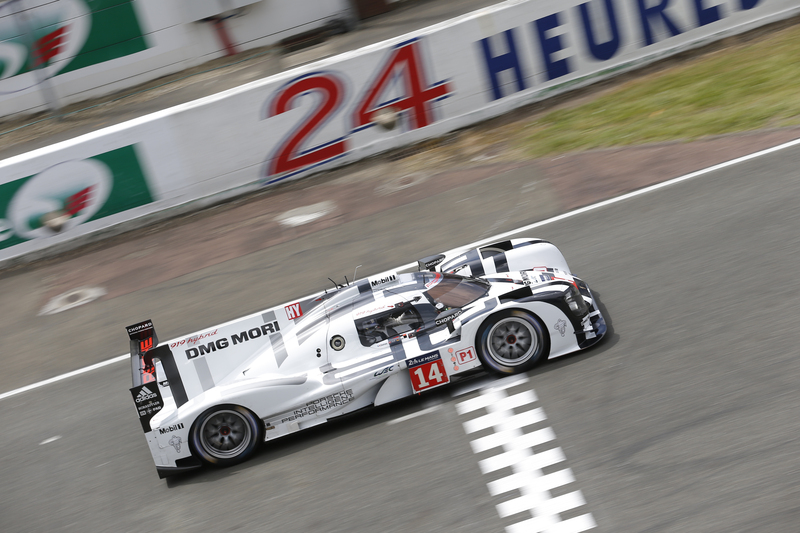 Porsche is fielding its most innovative prototypes at the 24 hours of Le Mans. The two Porsche 919 Hybrid cars with start numbers 14 and 20 will be driven by two trios of drivers: Romain Dumas (France), Neel Jani (Switzerland), Marc Lieb (Germany) and Timo Bernhard (Germany), Brendon Hartley (New Zealand), Mark Webber (Australia). These six world-class drivers have between them a total of 37 appearances at Le Mans. Despite being a record holder at Le Mans with 16 overall victories, this year the sports car manufacturer has no experience to benefit from. For the first year of the LMP1 project the target is to get one of the fast Porsche 919 Hybrids to the finish line at the marathon. Romain Dumas – 36, France. 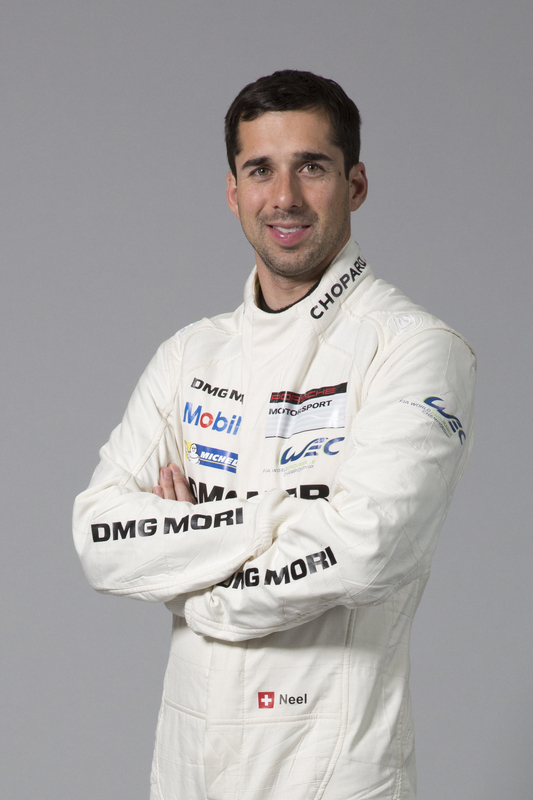 Neel Jani – 30, Switzerland. Marc Lieb – 33, Germany. 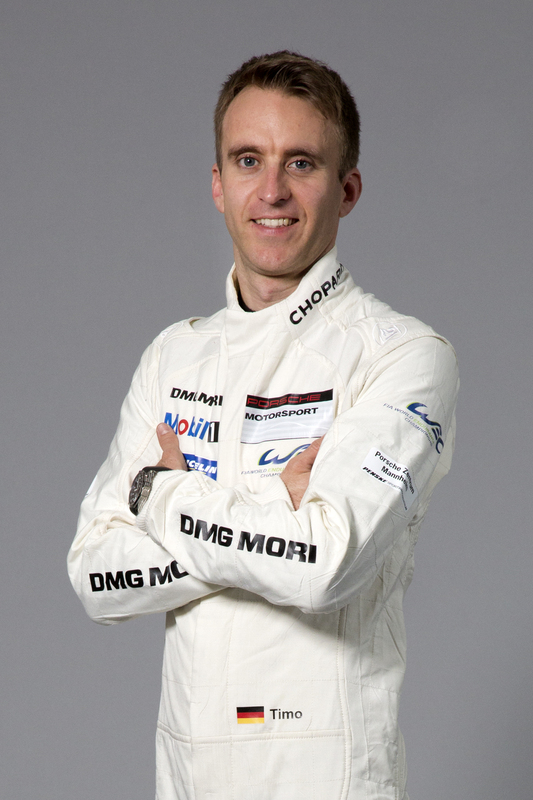 Timo Bernhard – 33, Germany. 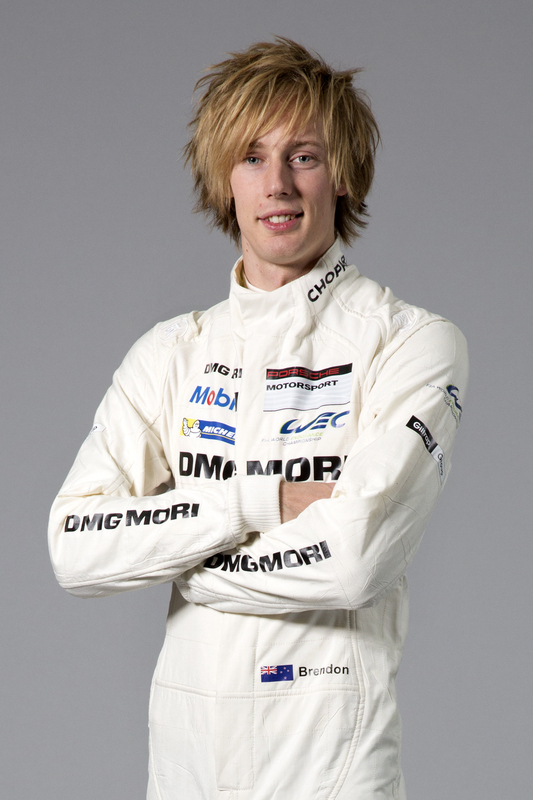 Brendon Hartley – 24, New Zealand. 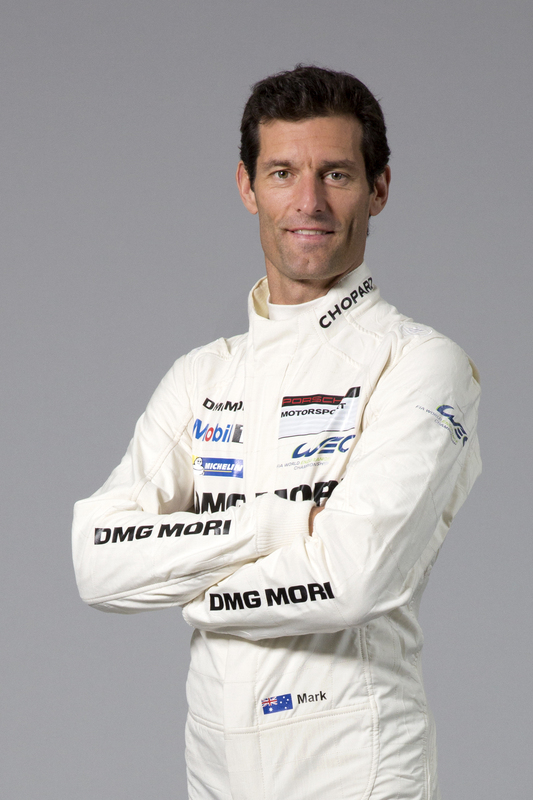 Mark Webber – 37, Australia. • With 16 overall victories, Porsche is the record holder at Le Mans. • The first Porsche overall victory dates back to 1970 (Hans Herrmann/Richard Attwood in a 917 KH Coupé), and the last victory to date was on June 7, 1998 (Laurent Aiello/Allan McNish/Stéphane Ortelli in a Porsche GT1). • According to the official archives, 812 Porsche cars have raced at Le Mans, and that too is a record. • The fastest qualifying lap was driven by Hans-Joachim Stuck in 1985 in a Porsche 962 C (average speed 251.815 km/h). That record will likely stand for eternity, since chicanes installed in 1990 now break up the long Hunaudières straight. 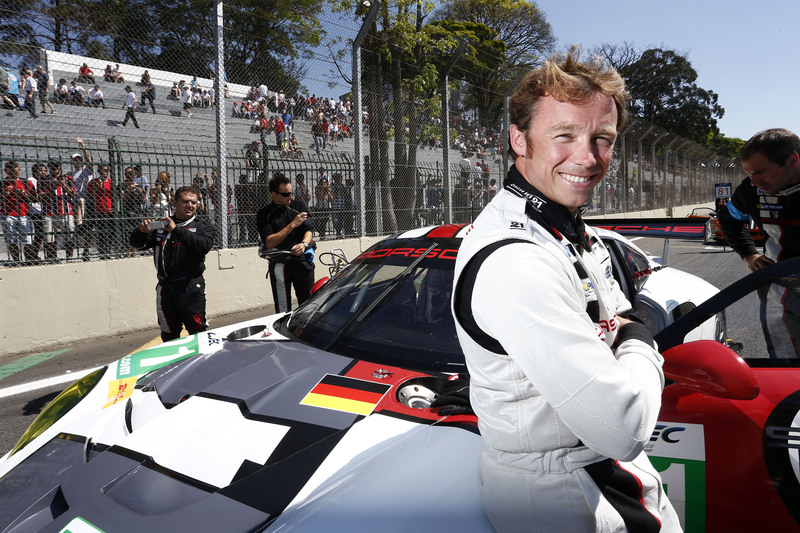 • The longest race distance was covered by Timo Bernhard/Romain Dumas/Mike Rockenfeller in 2010 in their overall victory for Audi, a total of 5,410.713 km (397 laps, average speed 225.45 km/h). 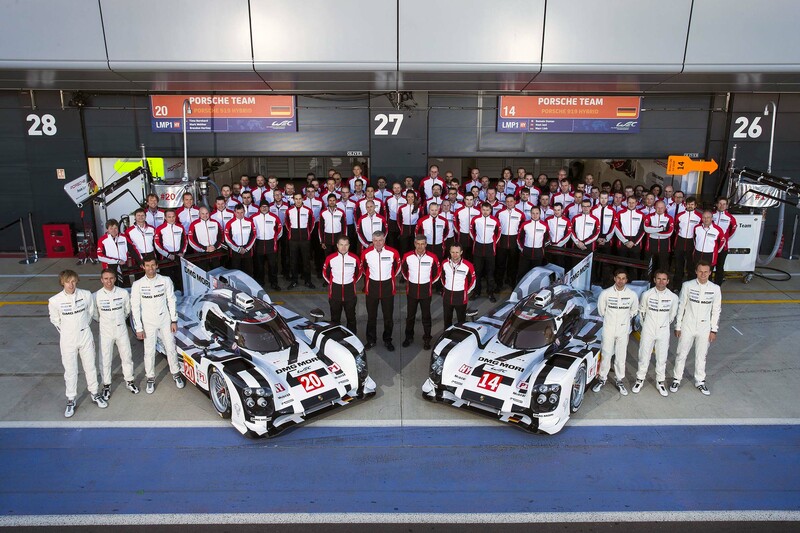 • The Porsche 919 Hybrid car numbers 20 and 14 stand for the year of the return. • In qualifying (Wednesday and Thursday until midnight), every driver must run at least five laps in the dark. While WEC rules call for averaging the two fastest laps of two drivers (i.e. the mean of four lap times), the classic Le Mans method is to simply take the fastest lap driven with the car. • The Le Mans night is one of the shortest of the year: the sun sets on Saturday at 9:55 pm, and it rises again on Sunday at 5:53 am. 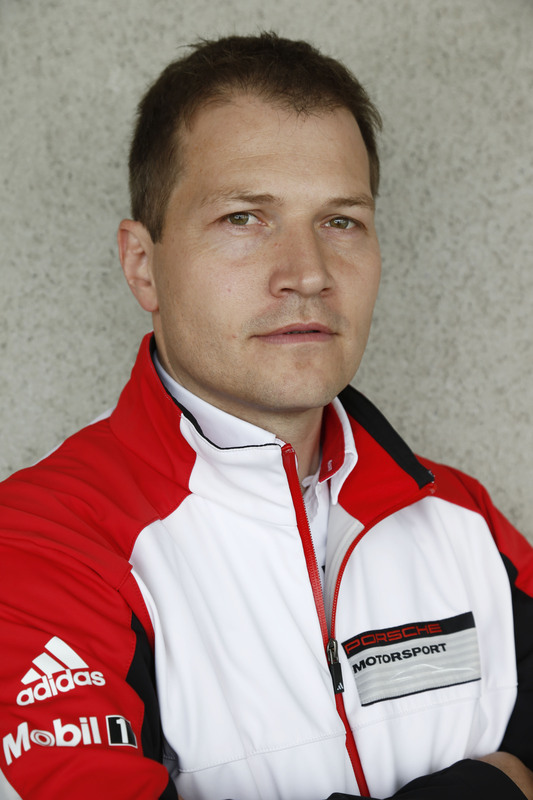 • In normal racing mode (without any safety car periods), the Porsche 919 Hybrid must refuel every 13 to 14 laps. • Refuelling and wheel changing may only be made sequentially, not at the same time. Only two mechanics may work simultaneously when wheel changing. That takes a lot longer than in Formula One, for example. • Drivers are normally only changed when new tyres are needed. • Two fuel tank fills with one set of Michelin tyres are the absolute minimum; three should be standard, and sometimes it might even be possible to do four – an open issue and a tremendous challenge for the drivers. • During the race, no driver may drive for more than four hours within a six-hour period. No driver may drive for more than 14 of the 24 hours. • Due to the length of the circuit, there are three safety cars at Le Mans. • The equipment taken to the track – in addition to the two race cars – includes a spare chassis, six engines, five front gearboxes, five rear gearboxes, six front wings and six rear wings, 80 rims, over 100 radios and headsets. • The amount of electrical energy that a driver can use for what is known as boosting is limited. 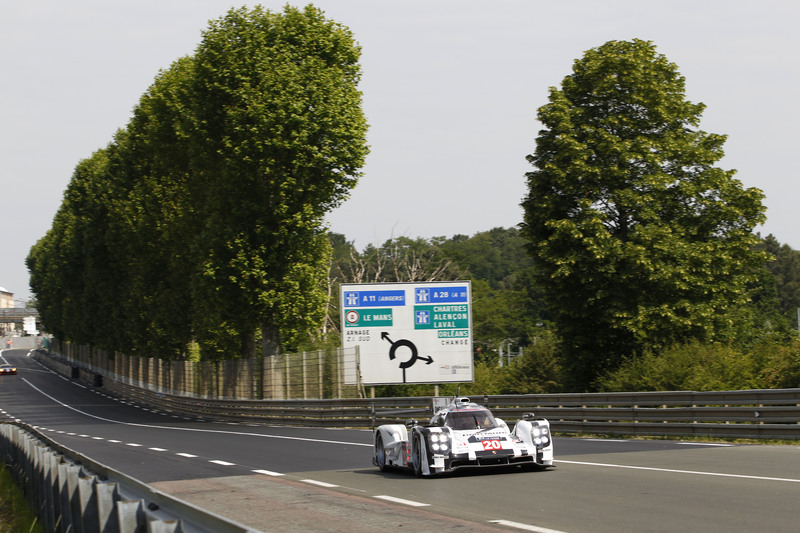 The Porsche 919 Hybrid may consume exactly 1.67 kilowatt hours (kWh) of electricity on each 13.629 km long lap. • In 2013, the Le Mans victor completed 348 laps. Over this distance, the 919 Hybrid would generate and utilise 581.2 kilowatt hours (kWh) from its energy recovery systems – an amount of electrical power that would light a 60-Watt incandescent light bulb for a full 9,687 hours. Or expressed differently: this amount of energy would power the new Volkswagen e-Golf, which is currently the most energy-efficient electric car in the compact class, over 4,576 kilometres – enough to drive one-way across the USA from New York to Los Angeles. • All in all, there is even more honour and glory to be won at Le Mans: twice as many points are awarded than in the other seven races for the World Endurance Championship (WEC) that are each six hours long. • In the WEC standings, the Porsche team with 36 points is currently behind Toyota (84) and ahead of Audi (28) after two of eight races. • The Porsche 919 Hybrid was designed and built at the Development Centre of Porsche AG in Weissach. 230 team members work there. 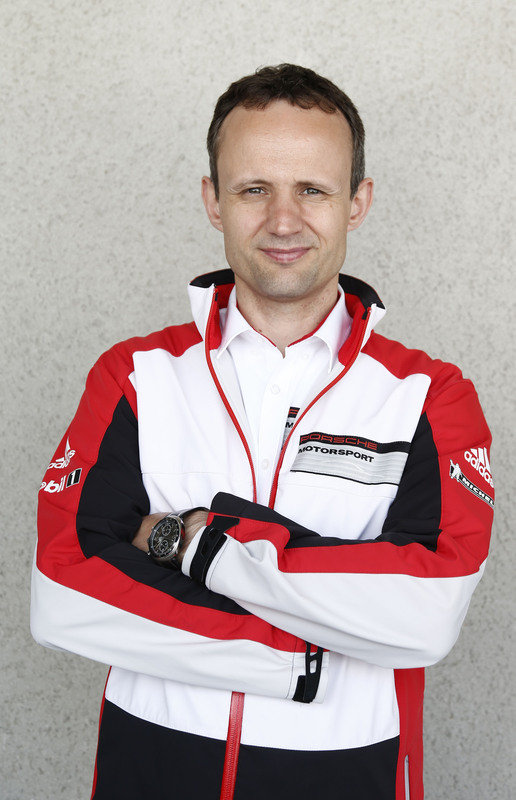 • The core team of Porsche for LMP1 racing at the race circuit in Le Mans consists of 86 team members (engineers, mechanics, team management). Add to that personnel from communication and marketing, sponsoring and driver support. • For Le Mans week, supplies include well over 1,000 team shirts and other clothing. • The shopping list for food and refreshments for the team and the media hospitality area include: 50 boxes of salad, 50 kg of strawberries, 300 melons, 1.2 metric tonnes of meat, 500 kg of fish, 600 kg of noodles, 2,000 eggs and 1,100 loaves of bread. • While most of the team members catch some sleep during the night of the race whenever they have time and space, the drivers have beds in containers located behind the pit. It is impossible to get a quiet rest, sleep from exhaustion is more likely. • The organiser, the Automobile Club de l’Ouest (ACO), expects over 250,000 spectators at the race. The technical inspection of the 56 racing cars, which are subdivided into four classes, is done on the Sunday before the race, June 8, at the Place de la République. A public event in the middle of the city. The scrutineers examine the cars, and the 168 drivers must present their paperwork. The Porsche LMP1 team is scheduled for this inspection on Sunday between 3:15 pm and 4:15 pm. The last teams will complete this technical part of the administration by 6:00 pm on Monday. • Live communication from the box on Twitter @PorscheRaces. • You can experience the race from an in-vehicle perspective and track the vehicles by GPS and live timing at http://www.porsche.com/mission2014. Stuttgart. This coming Sunday on June 1, the entries for what will be the 82nd running of the legendary 24 hours of Le Mans will be testing at the famous track. It is the final test prior to arguably the toughest motor race in the world. Porsche vehicles have been on the starting grid continuously for 63 years, and the German sports car manufacturer is the record holder with 16 overall victories and 103 class victories. The most recent class victory was last year with two 911 RSRs one-two in the GTE Pro category. 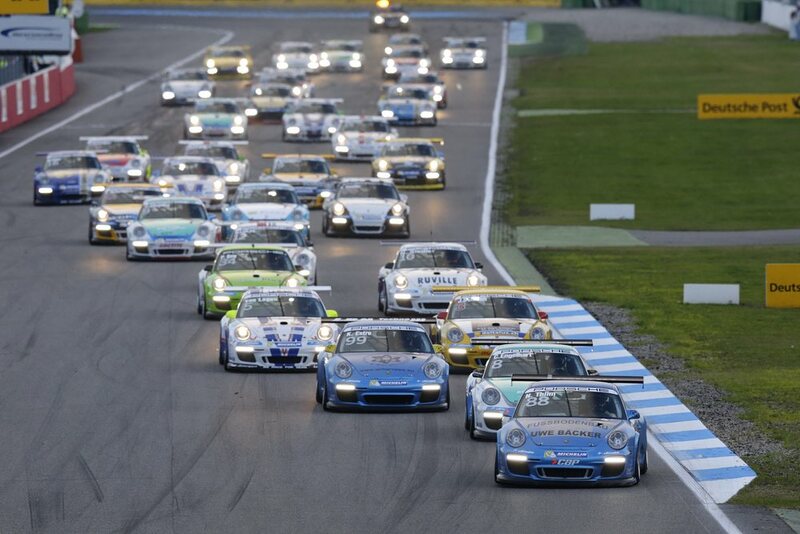 To date, the last overall victory was 16 years ago, as Porsche has not competed in the top class since 1998. Porsche returns there this year and faces the new FIA-efficiency regulations with the innovative 919 Hybrid, which limits the energy consumption per lap. In parallel to this, the GT team is trying to build on the success of the previous year. A gigantic factory involvement. There are also six private Porsche teams starting the event; the most well known driver and team owner is Patrick Dempsey, racing car driver and American actor. 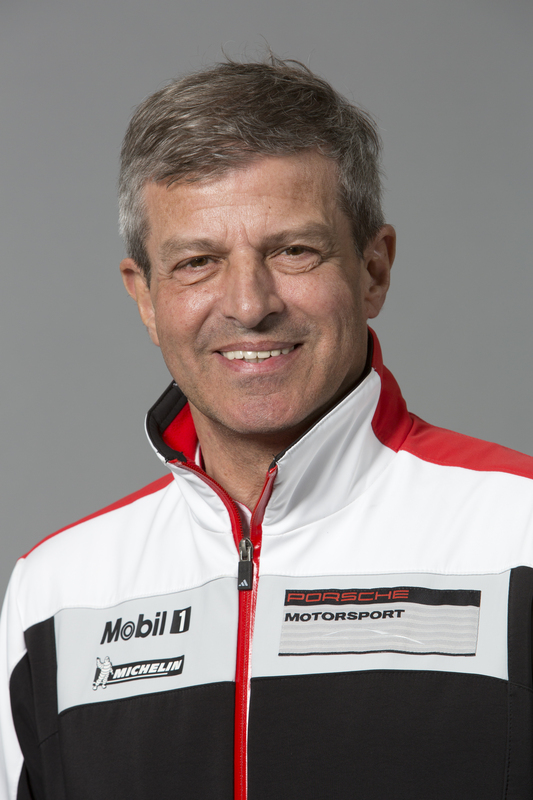 As Member of the Executive Board, Research and Development, at Porsche AG, Wolfgang Hatz is responsible for the Porsche factory involvement. 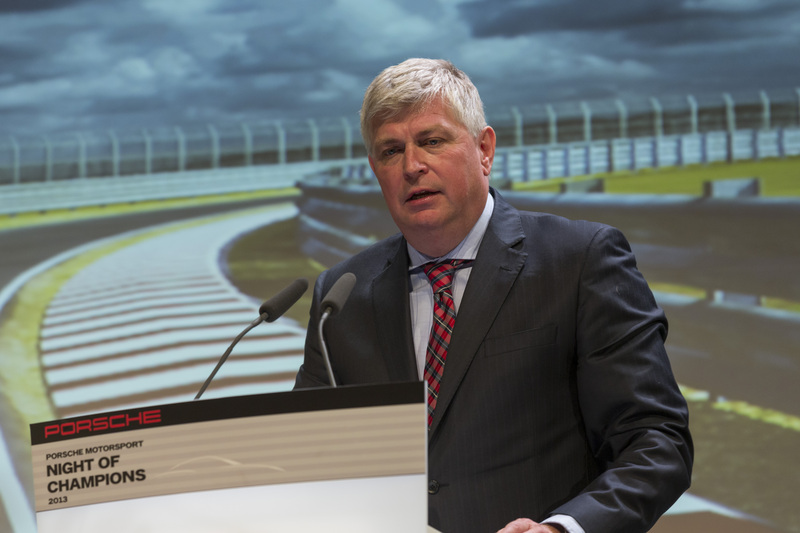 Mr Hatz, when and why did Porsche decide to return to the top class of the sports car World Endurance Championship (WEC) and Le Mans? Did the historical connection to Le Mans also play a role? Can you explain this in laymen’s terms? Are the efficiency regulations not to the detriment of racing itself? 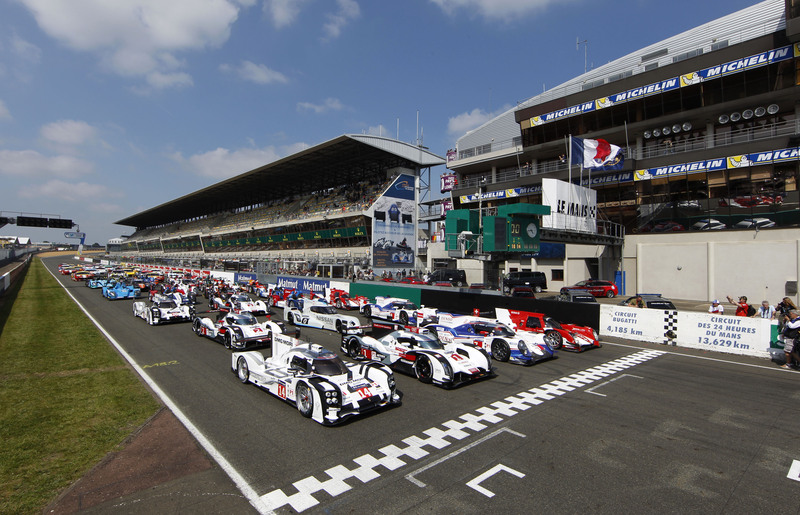 The World Championships comprises eight races, but the focus is on Le Mans. When would the factory involvement be considered a success? 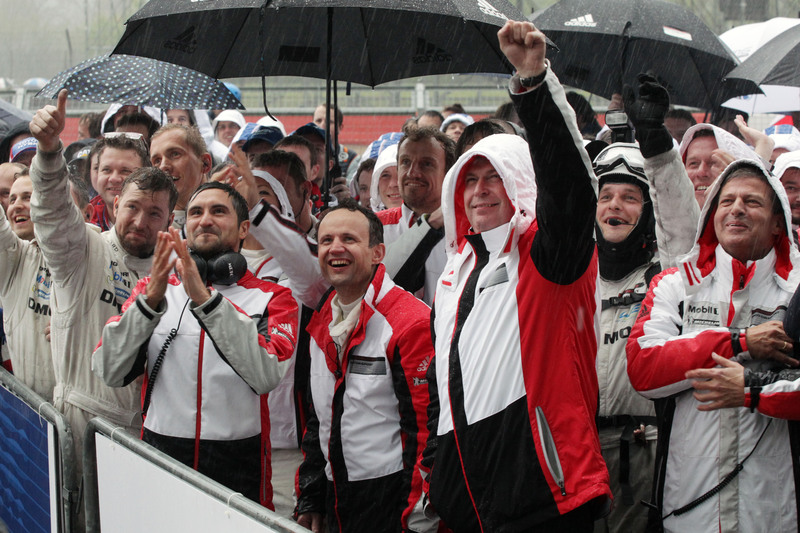 At Silverstone, we saw you emotionally applauding the podium place in the overall standings in the pouring rain. Isn’t that the high demand Porsche imposes on itself? Where will you be watching the 24 hour race from? Stuttgart/Atlanta. 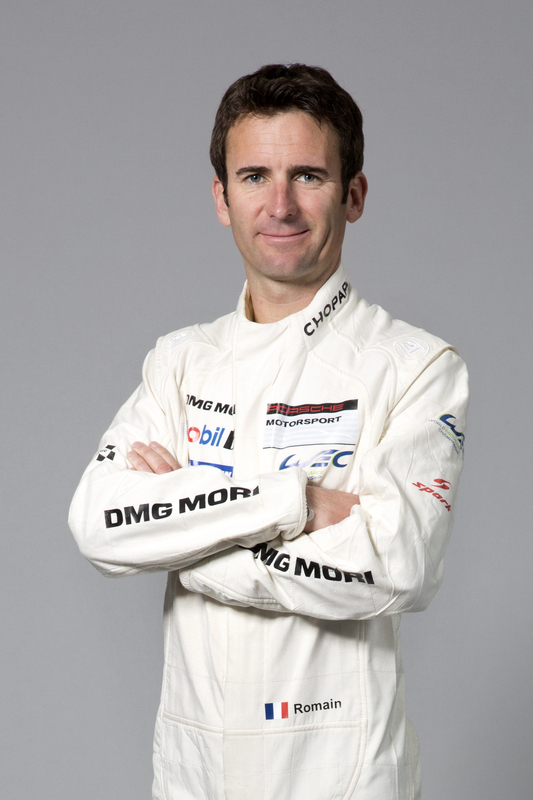 Porsche AG and Porsche Cars North America (PCNA) have announced the factory drivers who will compete for the 2014 TUDOR United SportsCar Championship in the PORSCHE NORTH AMERICA CORE autosport-prepared Porsche 911 RSR GT-Le Mans class entries. Car no. 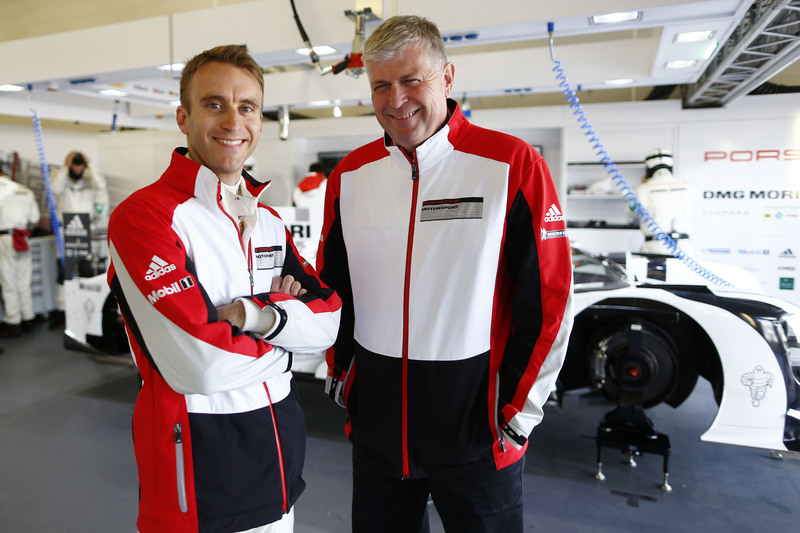 911 will be driven by Nick Tandy (Great Britain) and Richard Lietz (Austria), while car no. 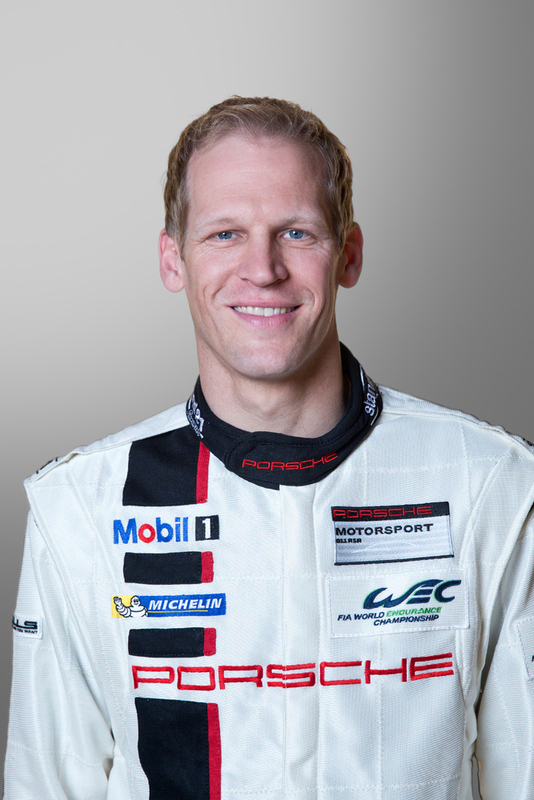 912 will compete with Patrick Long (USA) and Michael Christensen (Denmark) at the helm, with two additional Porsche factory drivers – Patrick Pilet (France) and Joerg Bergmeister (Germany) – joining the teams for the upcoming Rolex 24 at Daytona. The no. 911Tandy/Lietz/Pilet Porsche and the no. 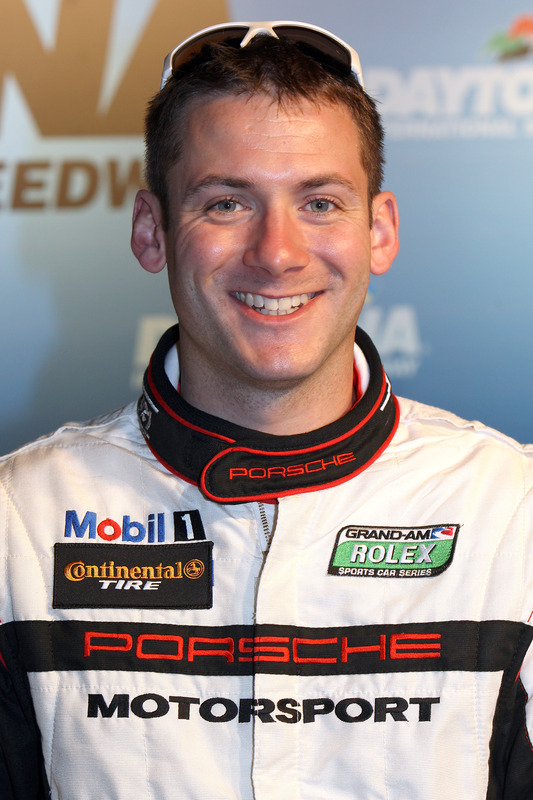 912 Long/Christensen/Bergmeister entry will make their on-track debut at the ROAR Before the Rolex 24, January 3 – 5, 2014. The effort will utilize the new Porsche 911 RSR, the same as the 2013 24 Hours of Le Mans LM GTE-Pro class-winning entries. 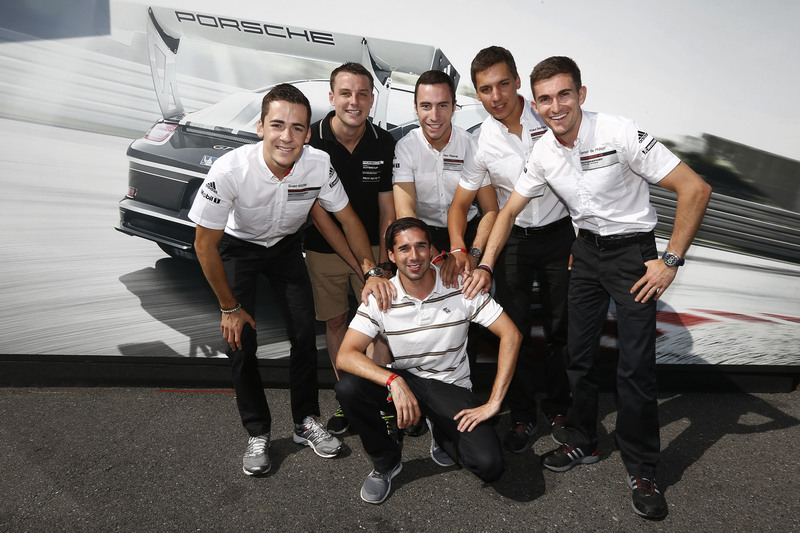 The headquarters for the program will be at Porsche Motorsport North America (PMNA) in Santa Ana, Calif. CORE autosport, Rock Hill, South Carolina, will act as the competition partner for the program. There is a wealth of endurance racing championship experience with this driver lineup, with Lietz scoring class wins at both the Rolex 24 (2012) and the 24 Hours of Le Mans (2010, 2013); and Patrick Long winning his class at the Rolex 24 (2009), 12 Hours of Sebring (2005), 24 Hours of Le Mans (2004, 2007), and Petit Le Mans (2005, 2006, 2007). 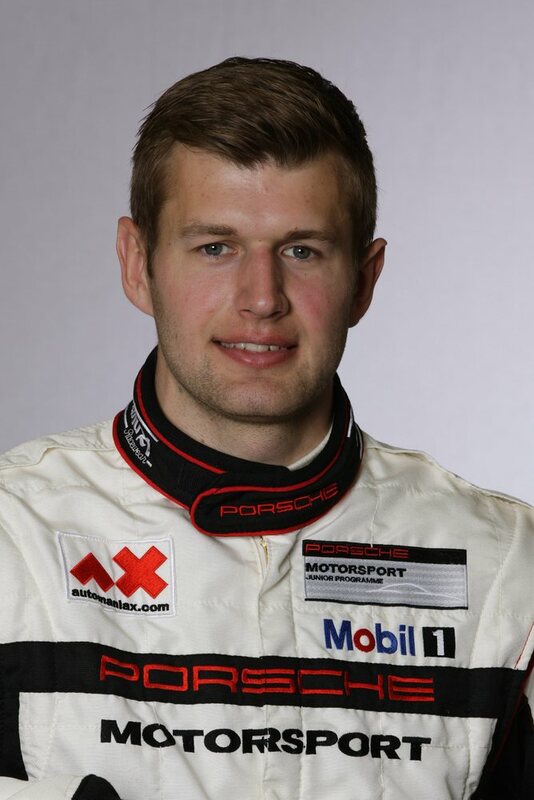 Christensen, in his first year as a Porsche Junior in 2013, finished sixth in the Porsche Mobil 1 Supercup series season standings with one event win in addition to the Rookie of the Year title. 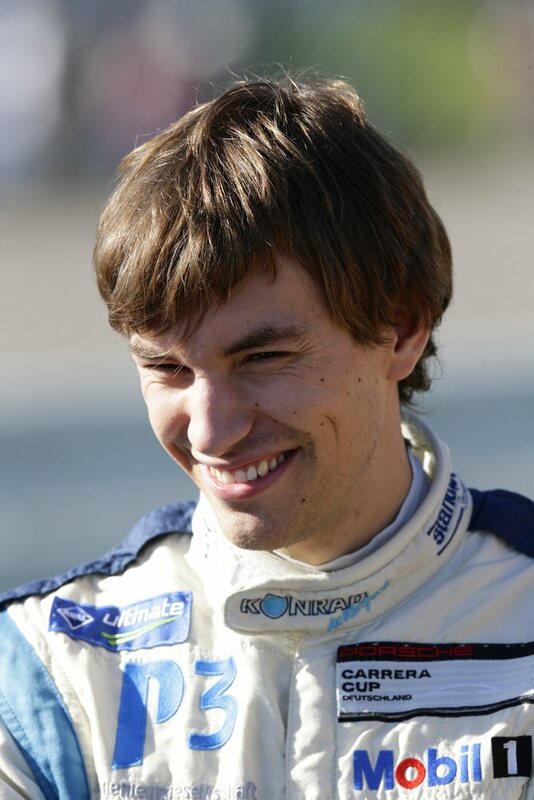 Tandy finished the 2013 American Le Mans Series with a flare by co-driving the Team Falken Tire Porsche to the GT class victory at Petit Le Mans. 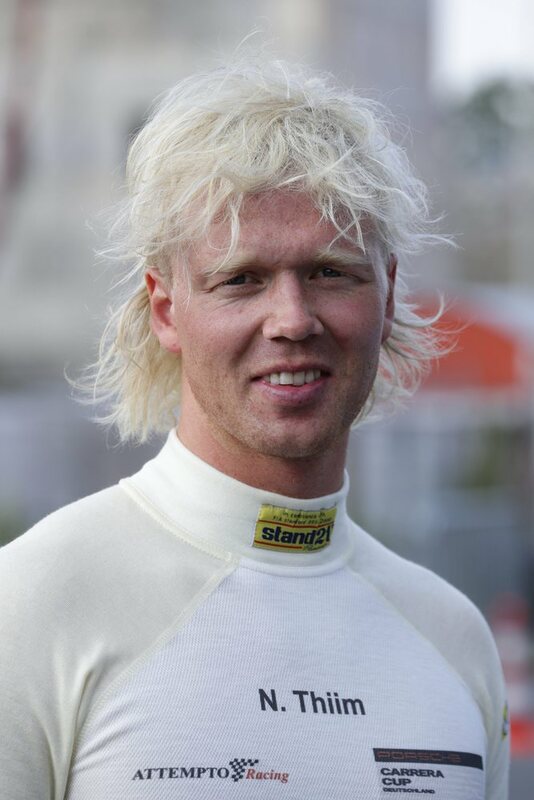 As for the Rolex 24 third driver additions, Bergmeister and Pilet are endurance veterans as well. 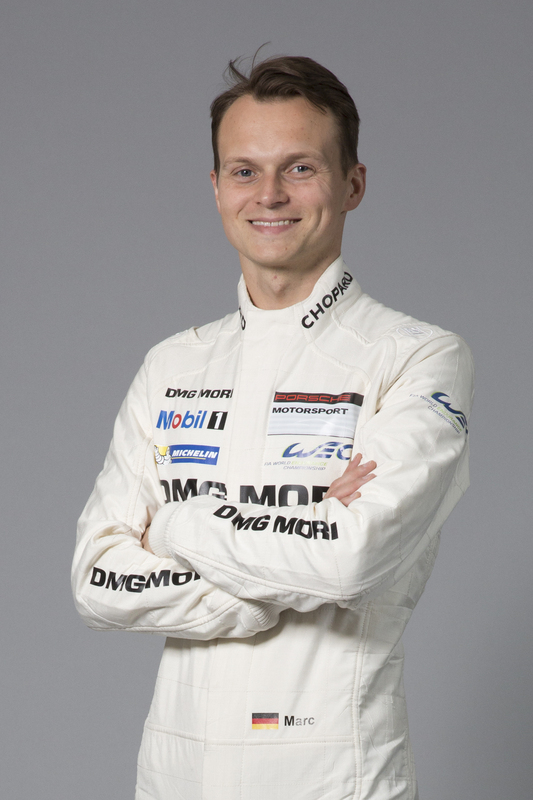 Bergmeister has won the Rolex 24 (2002, 2003, 2009), 12 Hours of Sebring (2004, 2005, 2008), 24 Hours of Le Mans (2004), and Petit Le Mans 2003 – 2007). Pilet, a former Porsche Carrera Cup France champion, has a win at the 24 Hours of Dubai to his credit. The 2014 Rolex 24 at Daytona will take place January 25 – 26, 2014. The new 911 RSR is based on the seventh generation of the iconic 911 sports car and follows in the footsteps of its successful predecessor, the 911 GT3 RSR. 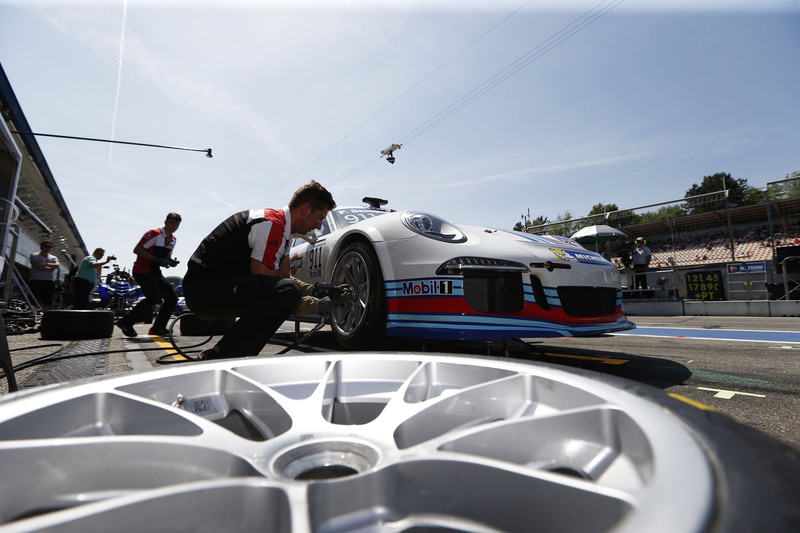 The new 911 RSR featured a win in its very first 24 Hours of Le Mans appearance in 2013. As with the production vehicle, the wheelbase grew by about four inches. A new development from Porsche Motorsport is the lightweight racing gearbox with the six forward gears selectable via paddles on the steering wheel. The 470 hp, 4.0-litre six-cylinder boxer engine was taken from the predecessor and optimized for 2014. One of the development priorities of the new 911 RSR was finding a better weight distribution balance. The center of gravity is also significantly lower than that of its predecessor. Carbon fiber played a crucial role in the new design. The front and rear aero components, front and rear lids, doors, underbody, wheel arches, rear wing, dashboard and center console are constructed from the very light and strong material. Moreover, all windows are made of particularly thin and light polycarbonate. Also contributing to the weight reduction is the lithium-ion battery now available on many GT road-legal models. The look of the new 911 RSR is dominated by the flared aero components and the deep cooling air intakes at the front. With a new air ducting, the radiator is now centrally-located in the front and even more effective than in the previous model. At the same time, the cockpit air-conditioning became more efficient. The quick-change concept of the body parts was specially adapted for endurance racing, allowing for easier maintenance and shorter repair times. The front end, front lid and rear panel are fitted with quick release systems and can be replaced within seconds. Low positioned static cornering lights provide improved vision and enhanced safety during the night. The reflective labeling and anti-glare lighting of the control elements in the cockpit help ensure optimal legibility in the dark. The arrangement of the switches on the new steering wheel and the pilot-oriented center console were designed in co-operation with the ten Porsche works drivers. 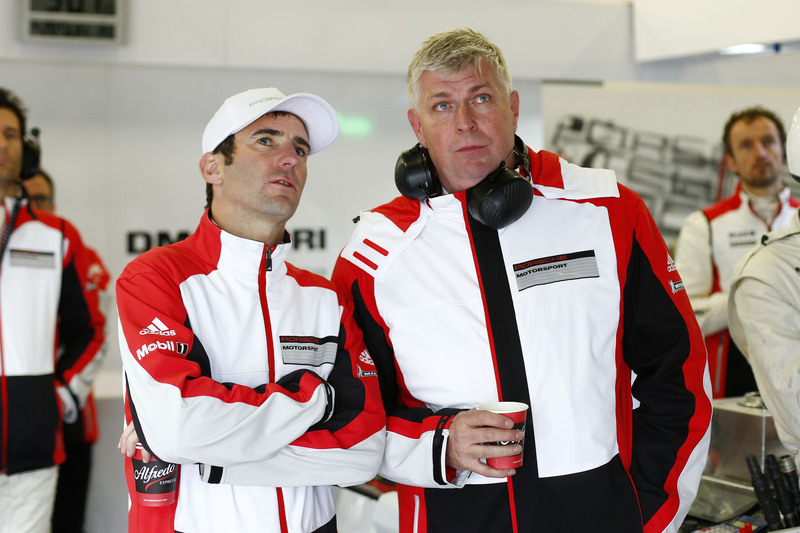 All works drivers took part in the design of the 911 RSR contributing their vast experience in GT racing. In order to keep the engineers in the pits up-to-date with all relevant vehicle data, the live telemetry transmits more than 200 different measurements straight to the pit wall stand via an antenna on the roof. Additionally, all data is stored on a memory card onboard the vehicle. Stuttgart. 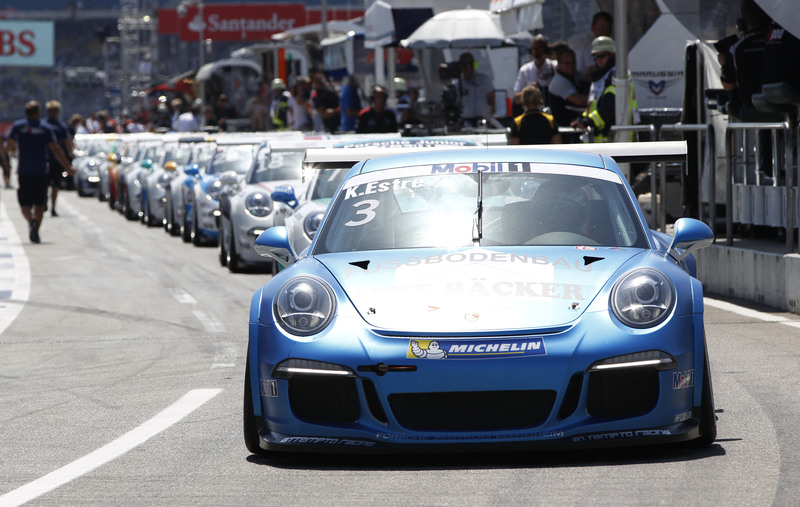 The Porsche Carrera Cup Germany remains gripping until the end – only the title will be decided on Sunday. 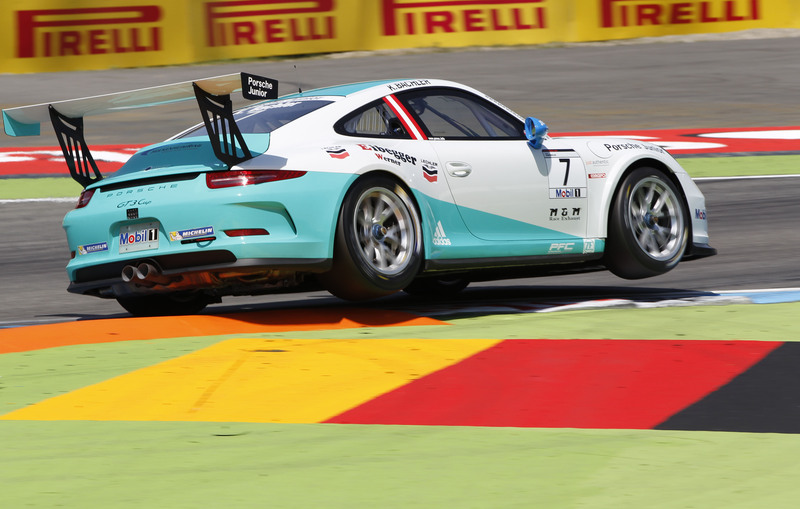 On the Hockenheimring Baden-Württemberg, Christian Engelhart (D / Konrad Motorsport) won at the wheel of his 450 hp Porsche 911 GT3 Cup ahead of points’ leader Kévin Estre (F / Attempto Racing), and Nicki Thiim (DK / Attempto Racing) . This puts Estre at the top of the overall standings with 229 points. Thiim in third overall (203 points) has to relinquish his hopes of taking home the title. “It’s going to be incredibly exciting for the load-round, because I’m on pole position and Christian is right next to me in second,” Explained Estre. “My third victory has given me enough self confidence to be champion,” stated Engelhart. 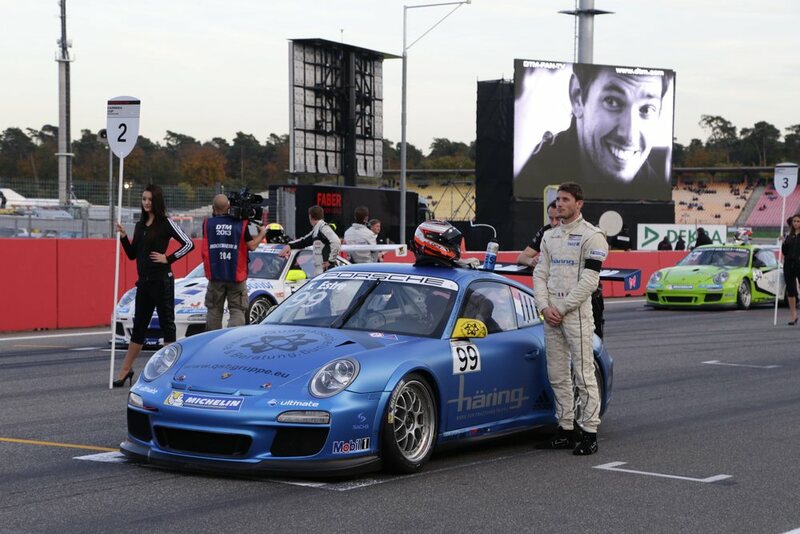 Commemorating the death of British pilot Sean Edwards, who had competed in the Porsche Carrera Cup since 2010 and which fatally injured at a private driver training on the Queensland Raceway in Australia on Saturday. The field headed out for the formation lap. When the lights went off, what Thiim INITIALLY viable to defend his pole position but after a braking mistake in the first lap, Engelhart managed to slip past him. Behind him, Thiim and Estre battled fiercely for positions, with Estre Ultimately winning the duel in lap eight. 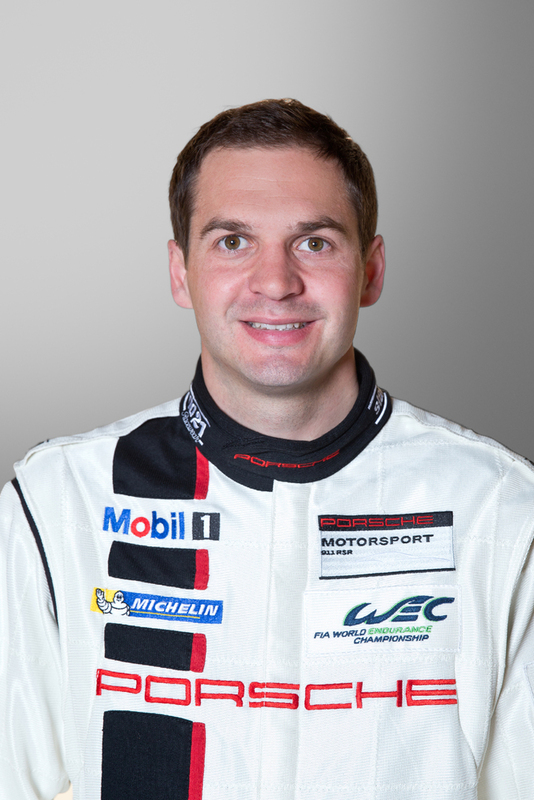 When Christopher Zoechling (A / Konrad Motorsport) parked his Porsche trackside with tire damage in the tenth lap, the safety car came out and the race which flagged off after a duration of 25 minutes. Porsche junior Connor de Phillippi (USA / Förch Racing by Luke Motorsport) Took off into the race from 16th on the grid and finished eleventh. ‘The result was okay. Now I’m putting all my hopes on the next race, because i start from third and I’m Determined to score a podium spot, “said de Phillippi. A decision has Already been made ​​in the B-classification, with Rolf Ineichen (CH / Konrad Motorsport) in first ahead of Dominic Jöst (D / Attempto Racing ). 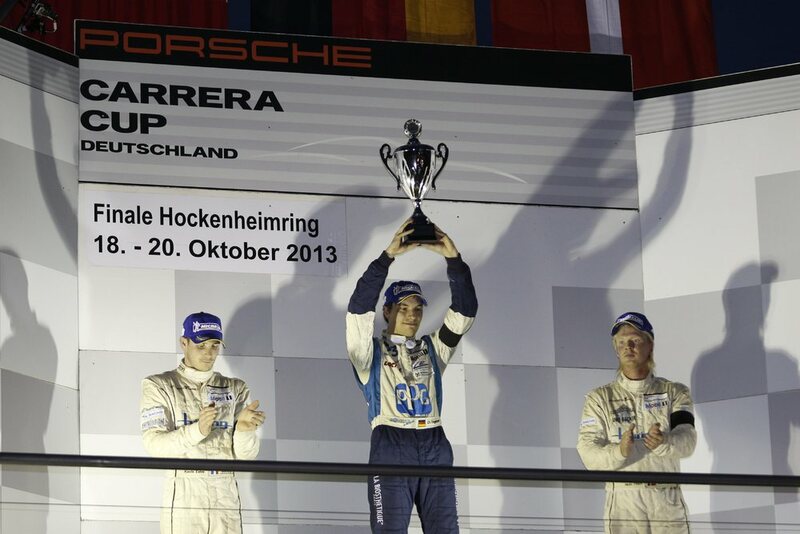 This makes the new Ineichen amateur champion of the Porsche Carrera Cup Germany.